center of the picture with the white dome. Today this area is the entrance way to the Western Wall plaza. Several ultra-Orthodox rabbinical seminaries in Israel can claim to be the leading Ashkenazic yeshiva -- the massive Mir Yeshiva in Jerusalem with its 6,000 students, Ponevezh Yeshiva in B'nai Brak, or the Hevron Yeshiva in Jerusalem, once the famous Slabodka seminary in Europe which relocated to Hebron until the 1929 massacre of Jews there. But there are few challengers in the haredi Sephardic community to the pre-eminence of the Porat Yosef Yeshiva in Jerusalem. The site for the seminary was purchased 100 years ago; the cornerstone was laid in 1914, and the building was inaugurated in 1923. The building contained study halls, a synagogue, classrooms and apartments. It was all destroyed by the Jordanian army in 1948, along with all of the synagogues and homes in Jewish Quarter. 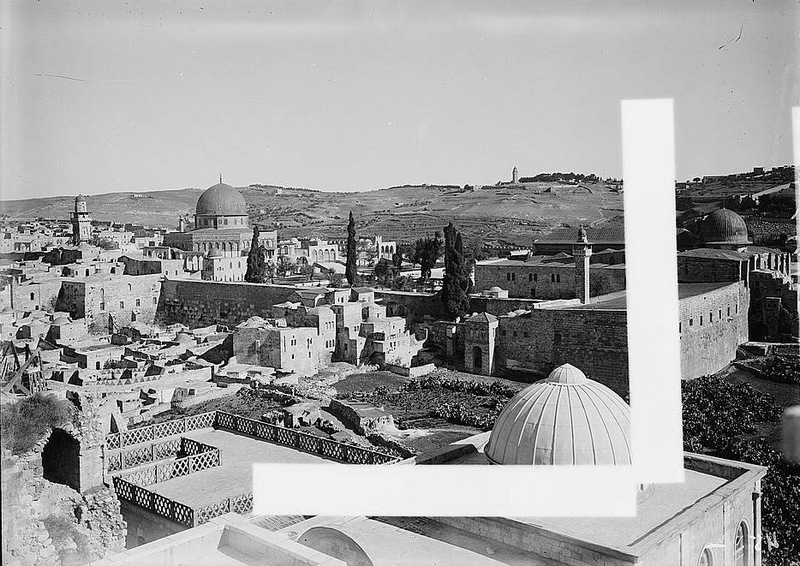 The photos of the war in the Old City and the destruction of the Jewish Quarter were taken by Life Magazine's John Phillips. 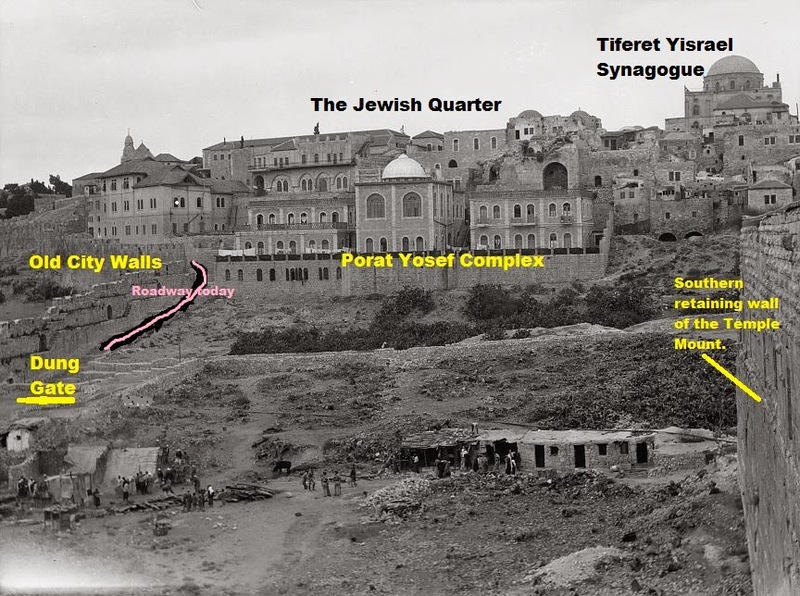 After the 1967 war, the Porat Yosef seminary was rebuilt and overlooks the Western Wall Plaza.